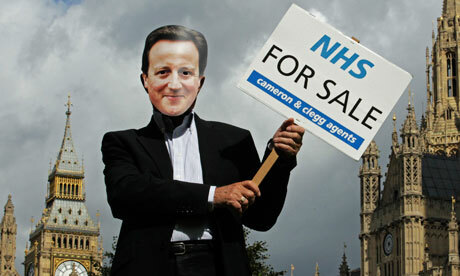 The problem of overcrowded hospitals in Britain is now an annually recurring one. Every year, especially in winter, operations are cancelled, treatments postponed and patients sent home because there simply isn’t bed space for them. A combination of increased admissions of the elderly in the winter months, seasonal outbreaks such as flu and norovirus, and the impact of weather-related accidents all serve to pile on the pressure to an already-embattled healthcare system. According to the BBC, NHS and social care services are ‘at breaking point’, with an open letter warning the government that ‘things cannot go on like this’.http://www.bbc.co.uk/news/uk-29501588. The story is now a perennial one. Every year (and in fact every couple of months) a mix of underfunding, overcrowding and staff stress puts the NHS in the headlines. Winter almost always exacerbates the problem. A year ago the outgoing NHS Chief Executive David Nicholson warned that the “toxic overcrowding” of accident and emergency departments in Britain not only impacted upon service levels but could have far more serious effects including higher levels of patient mortality and unsustainable levels of staff stress. The president of the ‘College of Emergency Medicine’ went even further, stating that the whole system was sailing dangerous close to complete failure. With the Daily Telegraph claiming that many patients were afraid to ask for help from staff pushed almost to their limits, the United Kingdom is perhaps still in the midst of what it last year called, “David Cameron’s care crisis”. It is indeed easy to think of this situation as a uniquely modern one, linked to the seemingly continual squeeze on budgets. Surely this wouldn’t have happened in the past, where well-run hospitals staffed by starchy matrons ran their (spotlessly clean) wards with military precision? In fact, if we peer back through time to hospitals even before the NHS, the situation can look remarkably familiar. 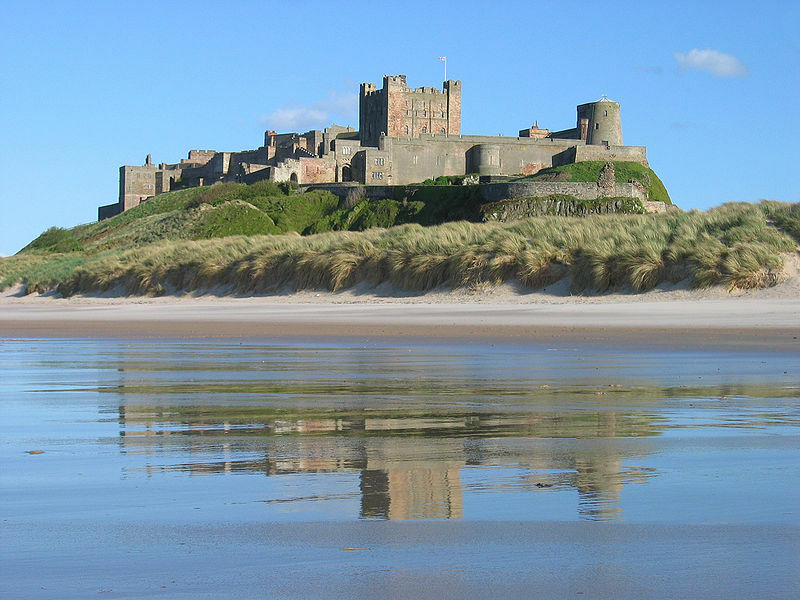 In 1772 Dr John Sharp, a philanthropist and trustee of the charity established by the late Lord Crewe, established a charitable infirmary in the impressive medieval castle at Bamburgh on the north east coast of England. 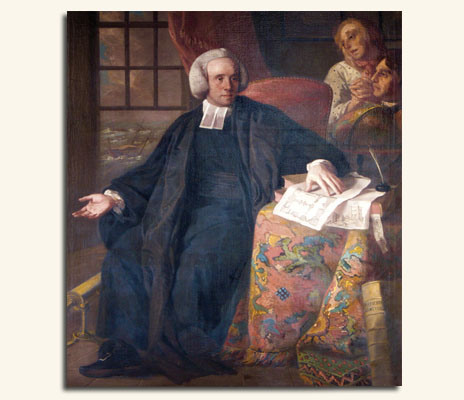 Sharp’s brother William was a celebrated surgeon at St Bartholomew’s hospital in London and so the infirmary was able to benefit from the advice of a top medical man. As such it was equipped with the latest medical technologies, from mechanically operated hot and cold seawater baths to electrical machines and even an infirmary carriage to take invalid patients down to the beach for a restorative dip. In terms of many other institutions this was state of the art. Many hospitals of the time relied on subscriptions – donations by wealthy benefactors – for their building and running. For patients to be admitted required a letter of recommendation from a subscriber. It was therefore very difficult just to turn up and ask for treatment. Bamburgh was different. Funded completely by the charity it had an open surgery – effectively an accident and emergency centre – on weekends, which meant that anyone, but especially the poor, could attend and be seen with relative ease. A quick note from a local clergyman confirming their status as a poor ‘object’ was sufficient. Unsurprisingly, though, this very accessibility meant that it was extremely popular. In the first year of the charity, the numbers of patients through its doors was a modest 206. In 1775 this had more than doubled, and in 1781 it treated 1106. By the end of that decade, the infirmary was regularly treating more than 1500 patients every year, and was expending more than £250 every year on treatments and drugs. As well as outpatients, the infirmary contained around 20 beds. To give some perspective, these numbers were at times comparable with some of the ‘flagship’ hospitals in major Georgian towns such as Bath and Birmingham. A staff consisting of a surgeon, two assistants and several ancillary staff, alone catered for the influx of patients. On any given attendance day between 60 and 100 patients could attend, and this put immense strain on both facilities and staff. In 1784 a freezing winter and ‘melancholy weather’ caused many poor people to perish, and admissions to rise dramatically. Outbreaks of infection also increased the pressure. The ‘malignant smallpox’ in neighbouring parishes was a constant threat to families, while the winter of 1782 also brought an outbreak of influenza at the neighbouring military barracks at Belford. This elicited a plea for infected soldiers to be treated at Bamburgh – a request declined by Dr Sharp for fear of infecting the rest of his patients. 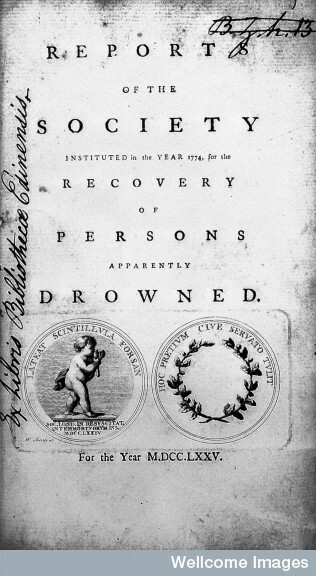 The resident surgeon, Dr Cockayne, keenly felt these increasing pressures. Writing to Dr Sharp in the 1780s he noted both the continual increase in duties and the ‘vast number of patients admitted’ all of which added to his great worry and trouble. In the politest possible terms he asked for a rise in his wages, a request that led to him moving from ad hoc payments to a permanent wage. The overcrowding at Bamburgh certainly chimes with the problems faced by the NHS on a daily basis. In simple terms there are simply too few staff to look after too many patients. The demands of an ever-changing medical environment increase the workload for staff, and these lead to further questions about pay and conditions. But it is interesting to consider that while Bamburgh infirmary faced the same socio-medical conditions as do hospitals today the question of funding was markedly different. Bamburgh was a well-funded institution. It had abundant money to spend on facilities and equipment and did so. And yet, the pressures of increasing numbers, and the unpredictability of admissions, still threatened to overwhelm it. Does this suggest that at least some problems are not simply reducible to finance? Many suggestions have been put forward, from streamlining the allocation of beds to increasing the range of conditions treatable by pharmacists and GPs and even treating some conditions in the patient’s own homes. Whatever the answer it is clear that hospital overcrowding is not a new problem. Medical professionals in the past were all too familiar with the challenge of meeting increasing and uneven demand with limited resources. Negotiating a pay rise – 18th-century style! In my last post I talked about letters from medics who were seeking jobs. Another second day in the archives yesterday yielded another crop of prospective employees, some of whom this time didn’t even know if there was a vacancy, but applied for it anyway. But another aspect of employment that we don’t often get a glimpse of in the past is that of pay-bargaining. What happens when, after several years of work, you feel that you’re no longer getting paid what you deserve? Actually there are whole websites devoted to the etiquette of negotiating a pay rise with your boss. There is always the union to fall back on if it all goes wrong. How, though, did people do this for themselves. It was a tricky process. Don’t ask and you risk being stuck with your menial salary. Push your luck and you might end up by offending your employer and losing your position. I hope you will pardon my boldness in addressing you upon this occasion, nothing but the consciousness of my own insufficiency, and your known candour, and continual kindness shewn to me upon every occasion could ever have induced me to ask so great a favour. At the same time it meets with your Disapprobation that alone will be sufficient to make me think no more of it. It is now five years since by your kind patronage I was appointed surgeon to your dispensary. I hope during that time I have not neglected my duty but endeavoured to discharge my trust to the best of my abilities. The duties of the dispensary have continually increased year after year, and the vast number of patients admitted this year will shew to every one its great utility and at the same time the increas’d [need] and trouble so great an increase of business must necessarily give me. If these considerations are of any weight, the favour I am going to ask will not I hope be look’d upon as presumptuous in some addition according to your better judgement in my salary. It was my duty to beg your advice upon this matter. I intended several times to have spoken to you of it when I was at the castle, but had always found myself incapable without some previous notcice to you of my intention. I therefore take this opportunity of addressing you. This was a skilful piece of negotiation and the relationship between employer and employed is interesting here. In the first paragraph, for example, he indulged in a little ego-stroking but was swift to mention that he would stop at once if he thought that Dr Sharp would be aggrieved. Sharp is almost a paternal figure, whose approval is continually sought. Then he moved on and set out his grievances, pointing out the strains that the sheer volume of extra patient numbers had put upon him. The last part of the letter called for humility- and Cockayne had it in spades. Without “wishing to be presumptuous” and relying on Sharp’s “better judgement” Cockayne almost slipped in the fact that he wanted more money. Arguing that he had effectively been too afraid to ask in person, he tried to gain Sharp’s sympathy for his plight. If he got his money, Cockayne would he “happier and easier in life”. If not, he would “still retain a sense of your goodness” and would continue in his role regardless. Clever. But did it work? No…at least not at once. For several years afterwards Cockayne continued on his ad hoc salary until, in 1785, he was granted an annual salary of £85 – a not insubstantial sum. Interestingly, though, he remained on that salary until at least 1810, the only increment being the addition of an extra 10 shillings in the 1790s – hardly enough to make a material difference. So another story of the twists and turns of employment for medical practitioners in the eighteenth century. Who knows what other little gems are lurking in the archives.